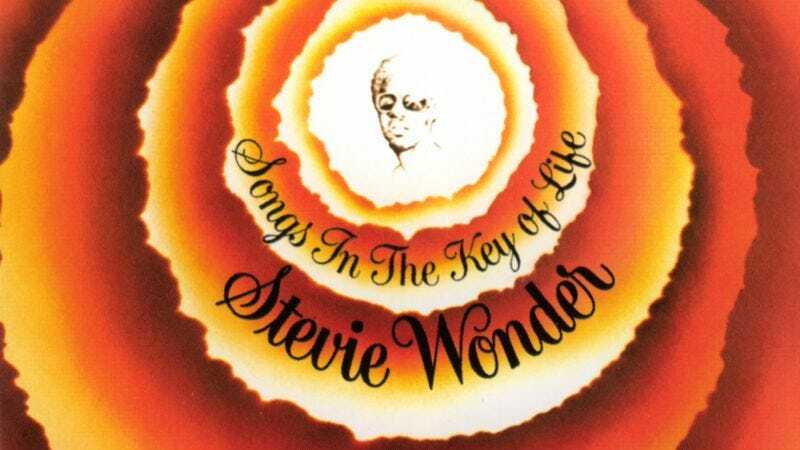 Upon its release in 1976, Stevie Wonder’s Songs In The Key Of Life achieved a rare feat in the music world, as Wonder brought a sprawling creative work—encompassing a double LP and a bonus, four-song EP—to the top of Billboard charts and received universal critical acclaim in the process. In the nearly 40 years since Songs In The Key Of Life was released, the album has gone on to sell 10 million copies, remaining in the pop-culture lexicon thanks to the lasting reverence for both album singles (“I Wish,” “Sir Duke”) and touching ballads that were originally tucked away (“Isn’t She Lovely”). Now, Wonder will be taking that 21-track album on the road for an 11-date tour this fall, dubbed the Songs In The Key Of Life Performance. The tour will launch on November 6 at New York City’s Madison Square Garden, with the 64-year-old Wonder hitting arenas across North America before wrapping in Oakland on December 5. This won’t be the first time Wonder has played Songs in full, as he previously played the album—albeit out of order—for a holiday benefit show last winter. According to Rolling Stone, the tour will take a similar shape to that performance, with Wonder slightly altering the album’s track listing so that he can end each set with “Another Star” instead of the songs from the A Something’s Extra EP. Tour dates can be found below, and tickets for the Songs In The Key Of Life Performance will be going on sale September 22.